For 10 years, Education Planning Resources has focused on helping families and students ease the financial burden of higher education. As Pay For College Experts, we leverage knowledge-based solutions and deep understanding associated with the cost of this achievement. Our mission is to help families solve this problem and advance students’ financial path toward building their future! Our College Debt Elimination Program helps graduates with income as low as $30,000 – $40,000 and has been able to cut their time to repayment in half. 90% of students are out of all of their college debt in 5.5 years or sooner. For a NO COST analysis contact EPR. Let’s Accelerate a Lifetime of Opportunities! 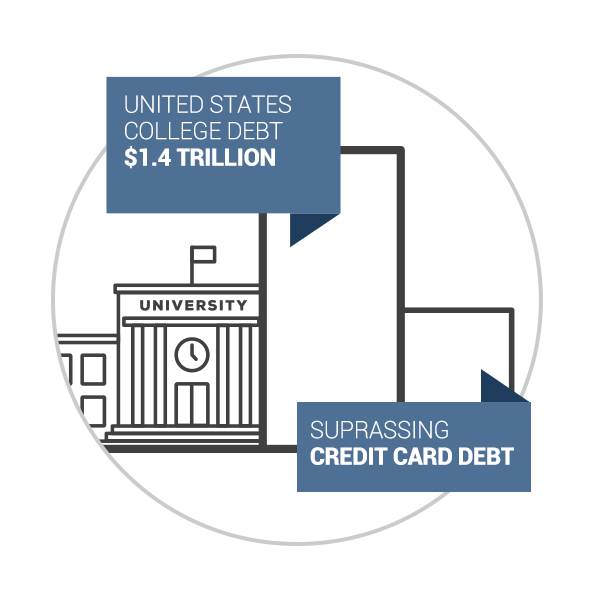 College debt has surpassed $1.4 trillion dollars in the United States, surpassing even credit card debt. 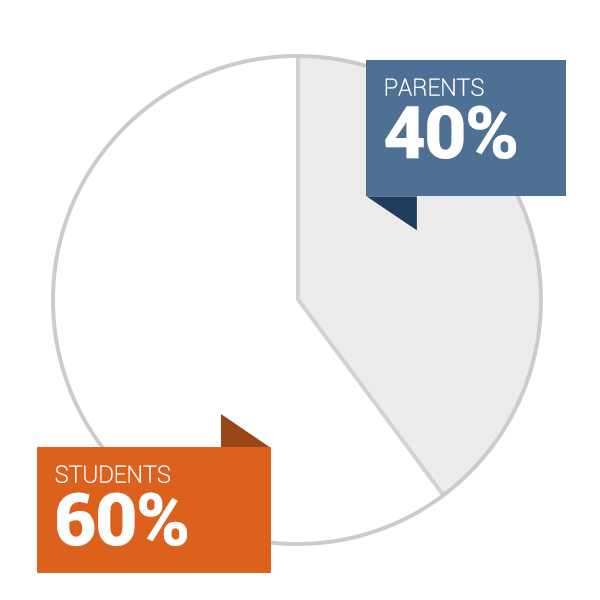 Surprising to many is that 40% of that debt is held by parents and 60% by the students. Our culture has changed for the worse as a result. 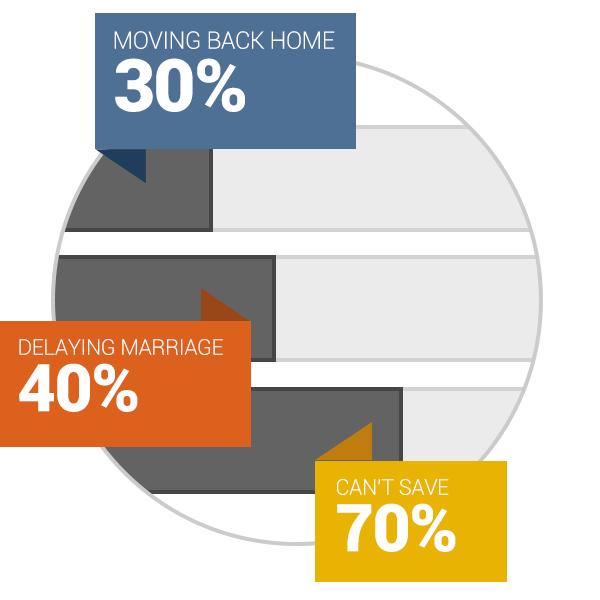 30% of students are moving back home, and 40% are delaying getting married. Saving for a home and retirement is becoming much more difficult. The typical student graduates with $37,000 in debt which traditionally takes between 10 and 20 years to pay off. Students feel like they are primarily working for the banks, credit card companies and student loan companies instead of their families. 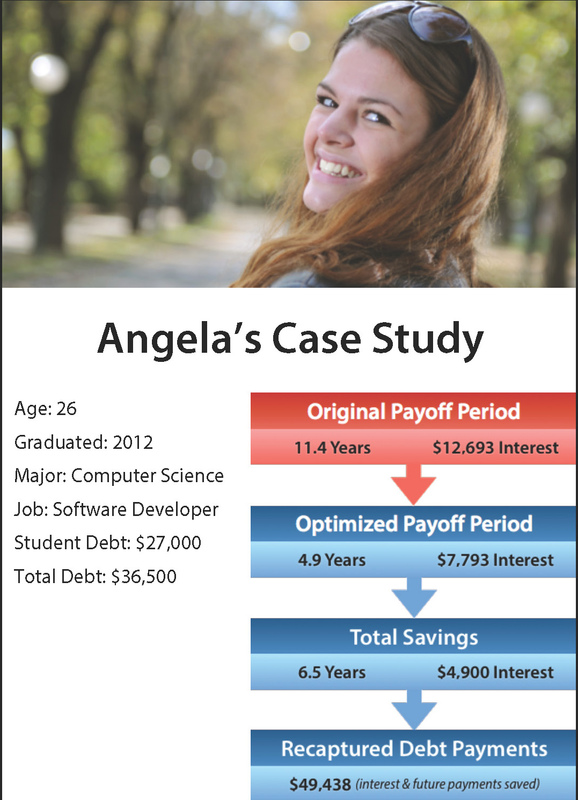 Our strategy gets students and parents out of their college debt in five years or less by organizing and controlling the interest rates, monthly payments and the size of their balances in the most optimal way. There is no requirement for traditional approaches which can harm your credit rating, such as refinancing, credit counseling or deferments. The program is offered to individual parents and students, as well as to outgoing seniors and recent grads in cooperation with some universities. Own Your Solution! Use Debt Payments to Fund Your Life.